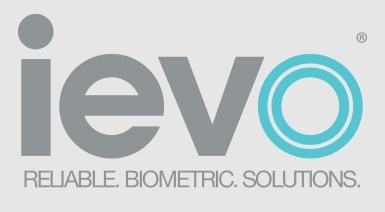 The ievo ultimate uses multispectral imaging(MSI) technology to capture a highly accurate reading of a fingerprint. Scanning both surface and subsurface levels of the skin simultaneously, up to a depth of 4mm, this method uses multiple polarised and non-polarised lights to register between 1-100 reference points to build a true digital image (the average number of reference points for a good image is 40). 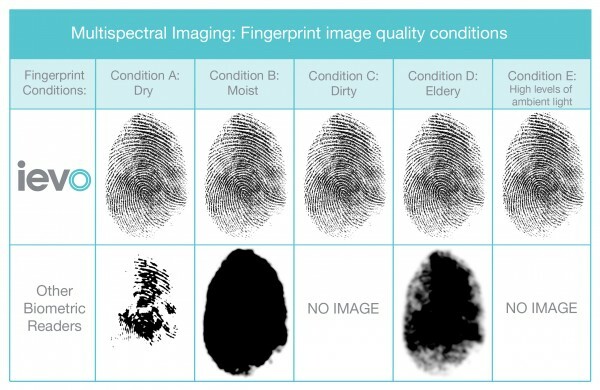 The MSI process allows the reader to operate through a variety of most skin or environmental conditions that may otherwise hinder an accurate reading.